Peer Sessions will be hosting a group crit. Peer Sessions is an informal crit group run by artists Kate Pickering and Charlotte Warne Thomas, as a postgraduate education support network for practicing artists. 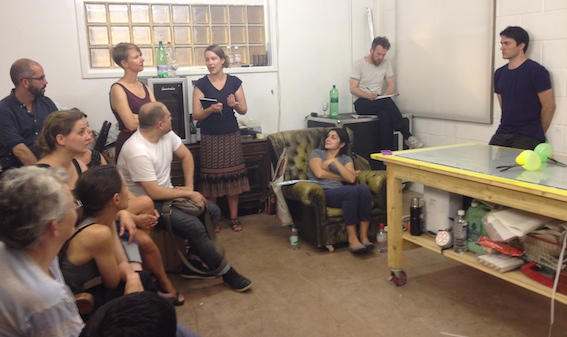 Pickering and Warne Thomas set up Peer Sessions after graduating from the MFA programme at Goldsmiths in 2009. They both continue their individual practices, exhibiting nationally and internationally, in addition to collaborating on Peer Sessions. You are warmly invited to Peer Session 55. AltMFA artist members Rebecca Glover and Louise Ashcroft will present recent work for discussion and feedback, as part of the AltMFA International Jamboree at Guest Projects. Please bring some small snacks or drinks to share in the break.